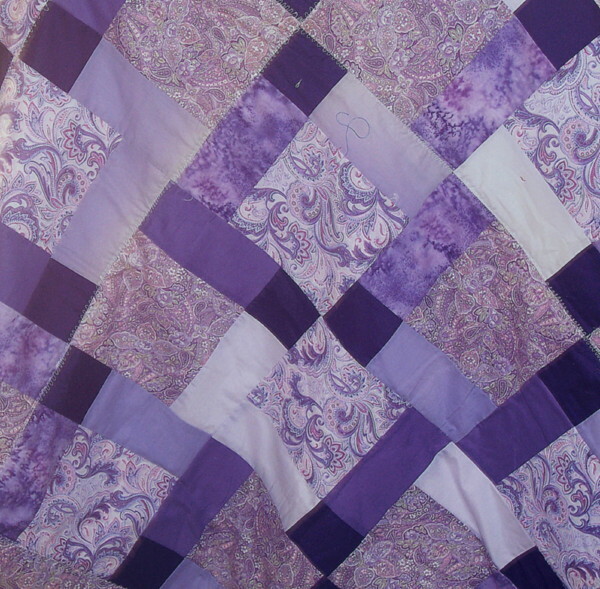 All quilts are custom made in our studio. 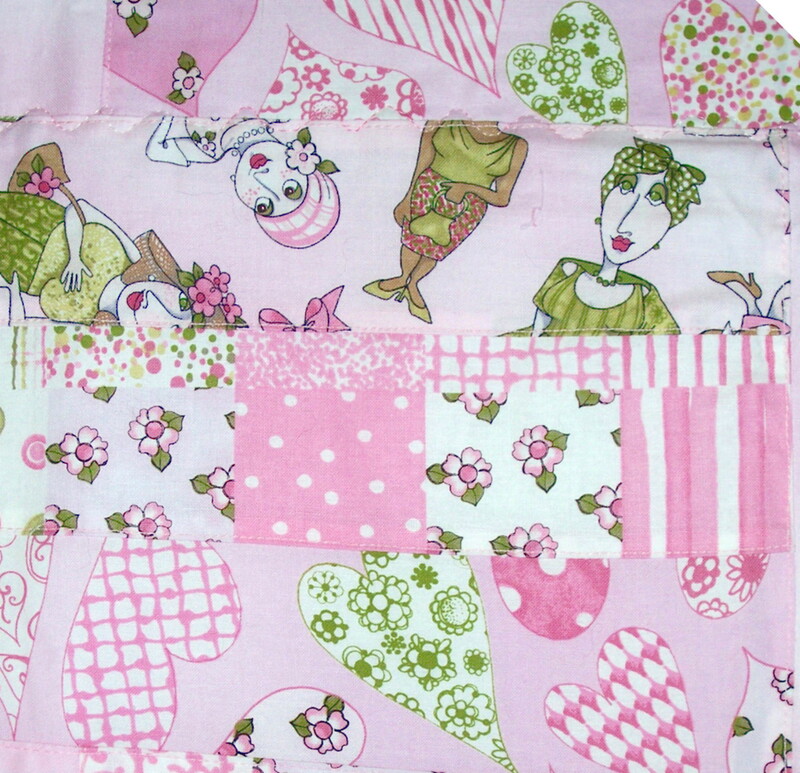 We do not sell commercially made quilts. 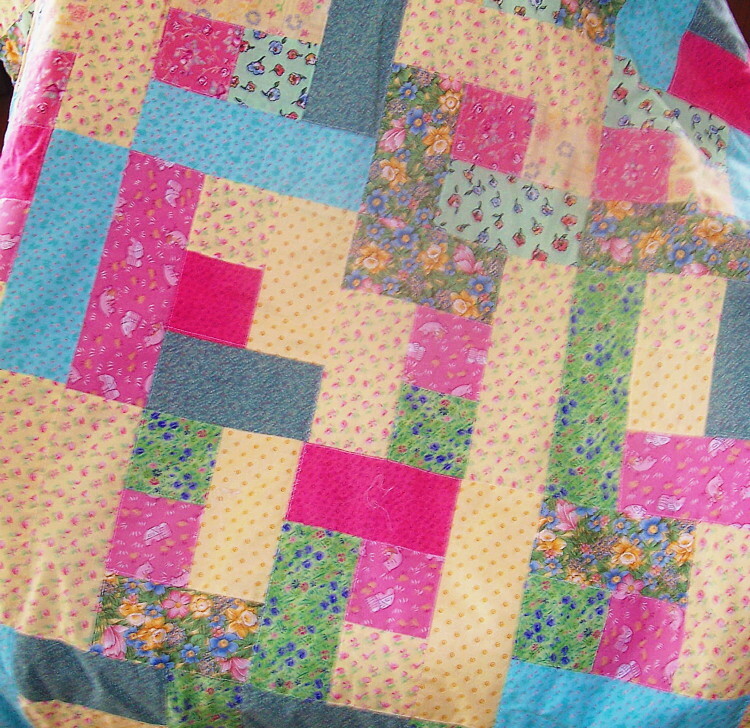 Please note: Quilts may have been purchased. Please contact us with your request. 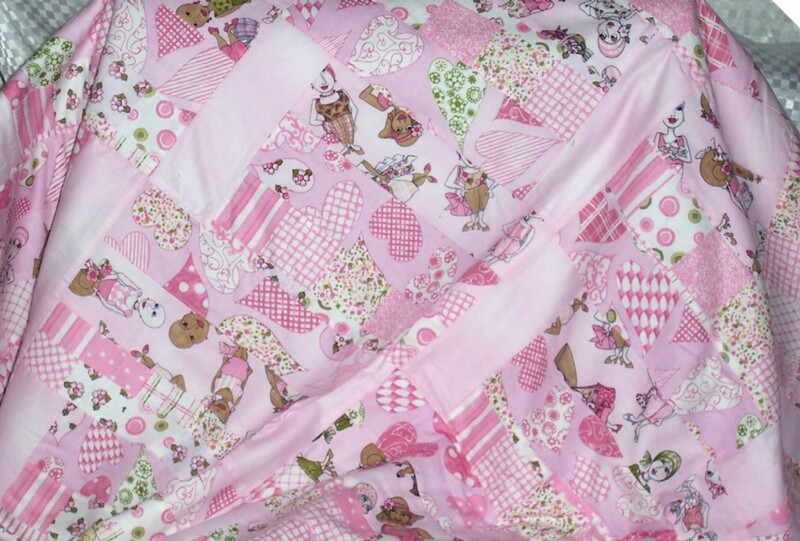 All quilts and backing fabrics are 100% cotton unless as indicated. 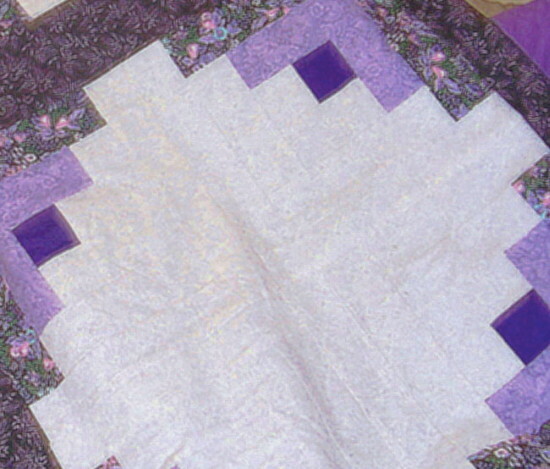 They are bound with cotton binding that that is turned under and stitched down by a running decorative machine stitch. 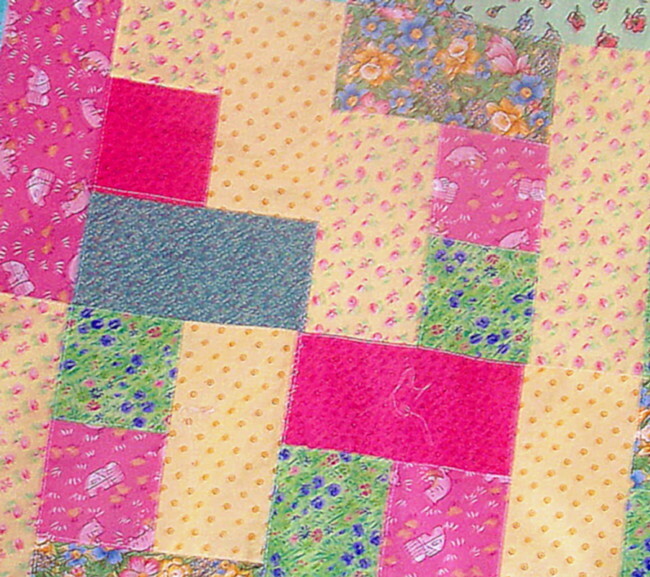 All layers are joined using decorative channel stitching that follows the quilt blocks or hand tied as indicated. 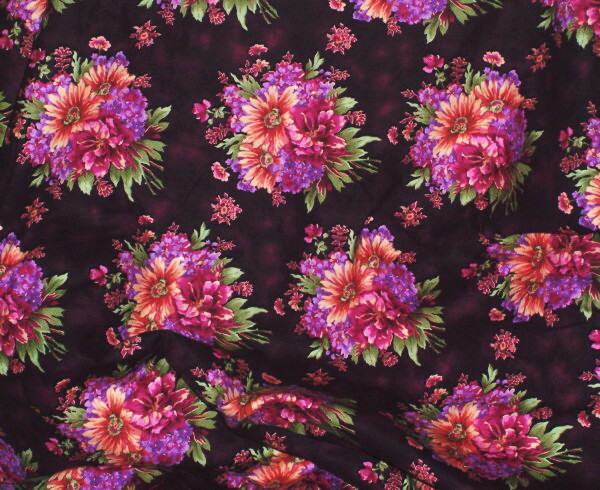 Large floral panel bordered with burgundy coordinate. 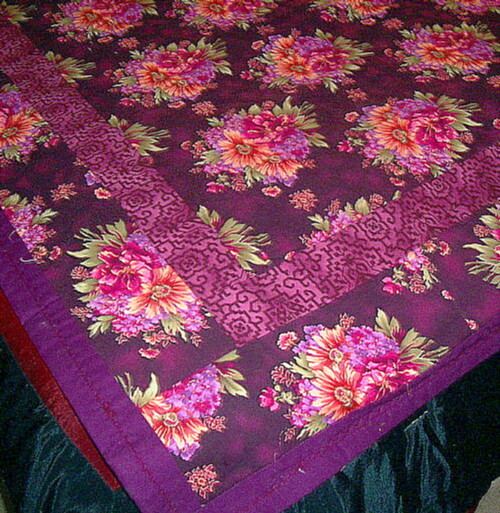 Quilt is backed with maroon fabric. Hand tied - 100% Premium Cotton filling - washable in cold water. Large-scale block print. 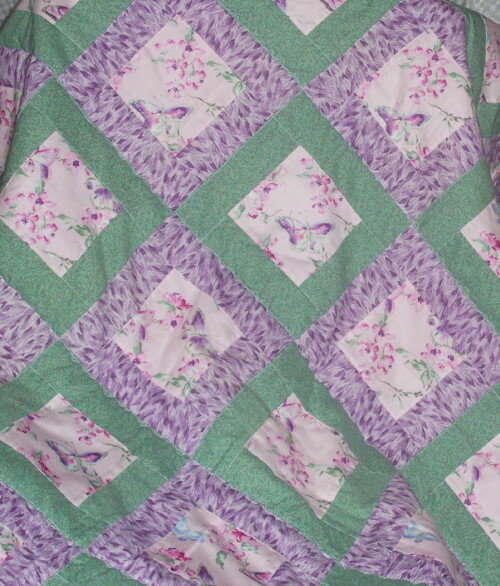 Quilt is backed with white fabric. 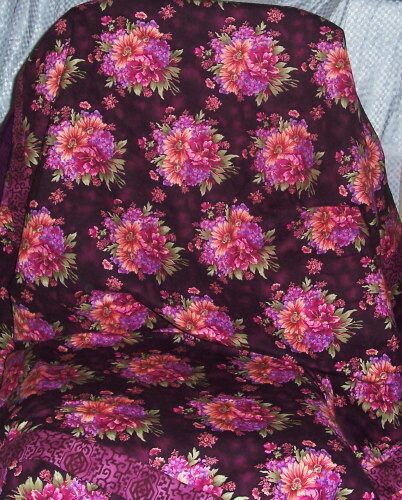 Hand tied - 100% polyester thermalon filling - washable in cold water. 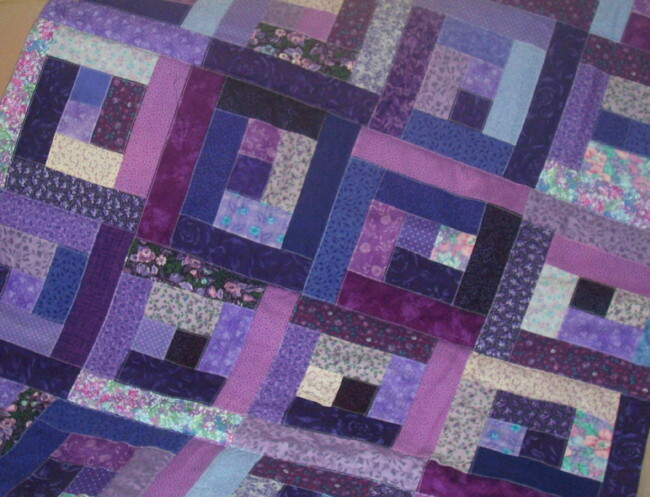 22" blocks with violet and purple tones. 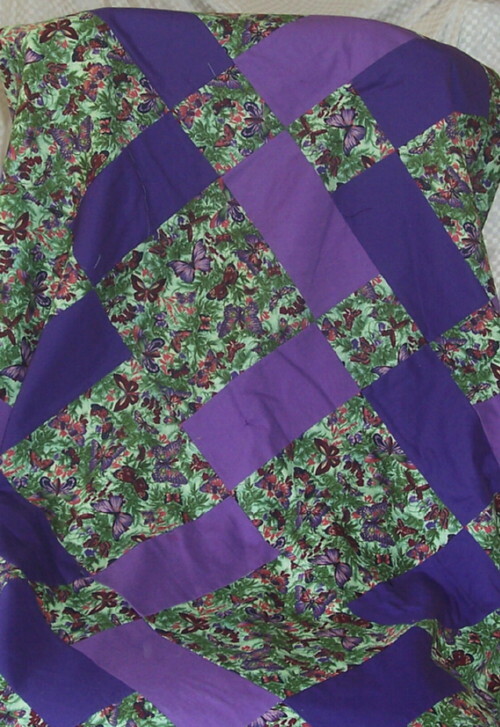 Quilt is backed with purple fabric. 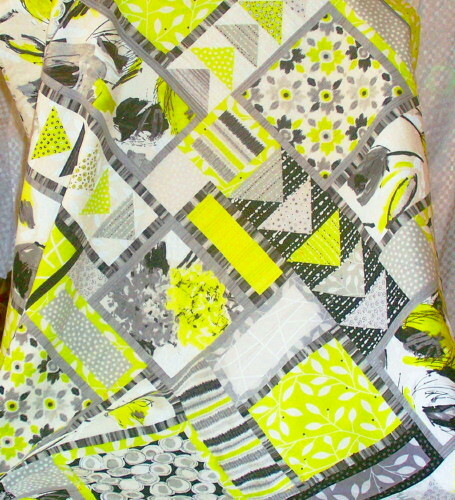 New medium-sized quilt (56" square) made from 100% cotton fabric. 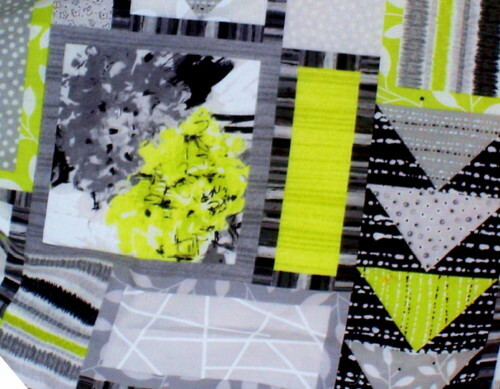 There are blocks of black and white swirl print accented with black borders and red squares. The black and white print blocks are 8"; the black borders and the red squares are 3 3/4" wide. 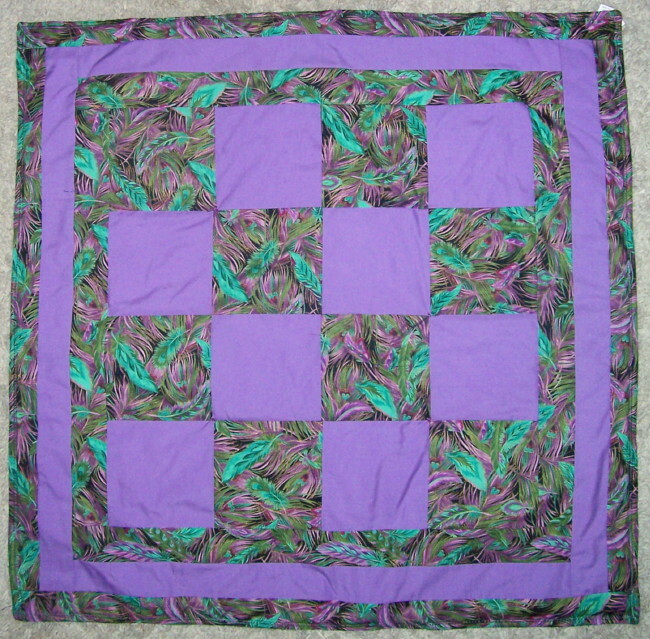 Channel machine quilted with 100% cotton filling - washable in cold water. 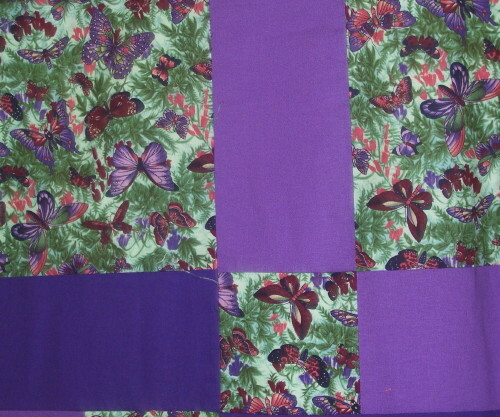 There are blocks of violet floral with purple and accents in tones of purple. 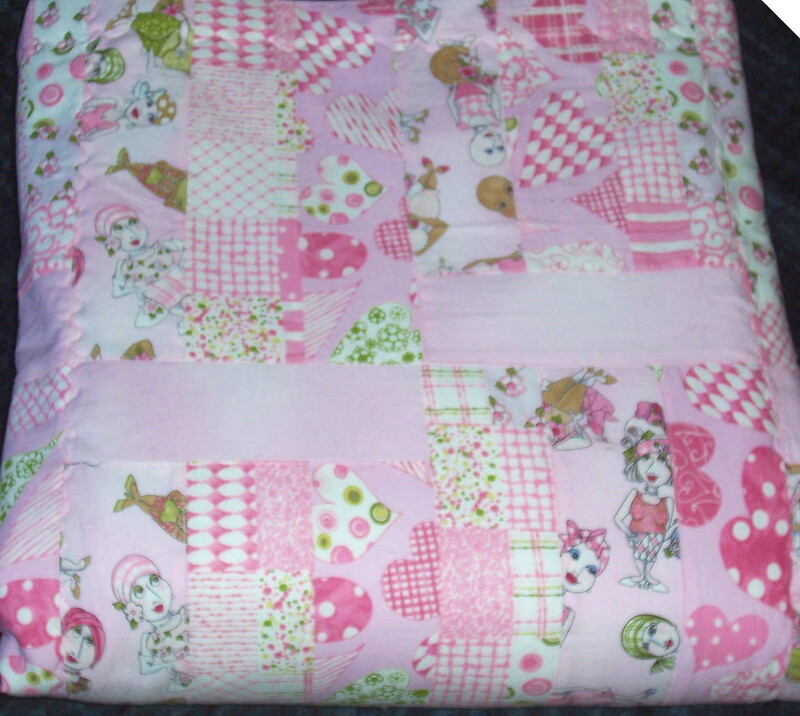 Channel machine quilted with 100% cotton fleece filling that makes the quilt heavy and warm - washable in cold water. 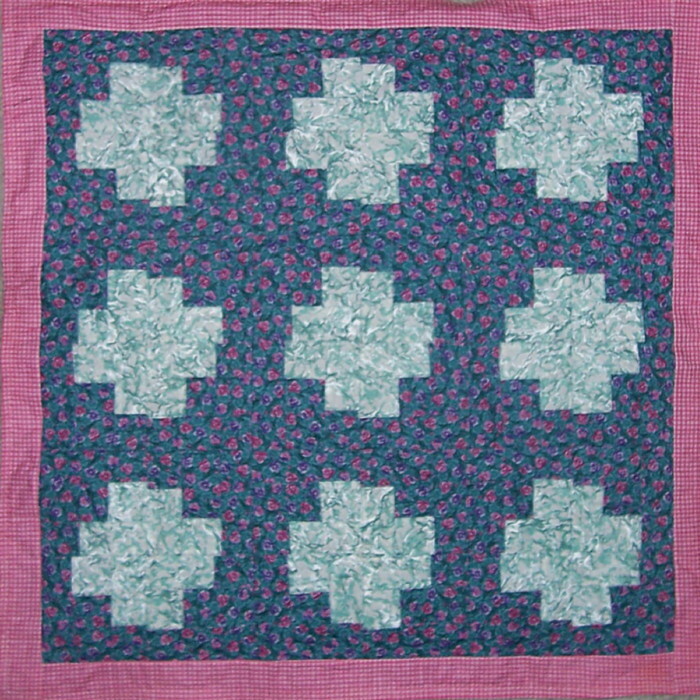 There are blocks of yellow with white designs, medium blue and light blue green floral blocks. 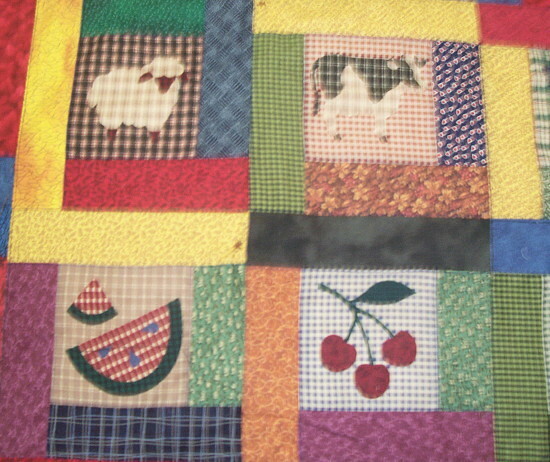 Channel machine quilted with 100% cotton filling that makes the quilt heavy and warm - washable in cold water. 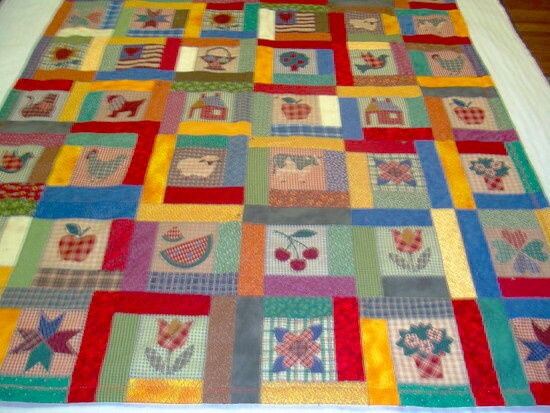 12" random pieced blocks. 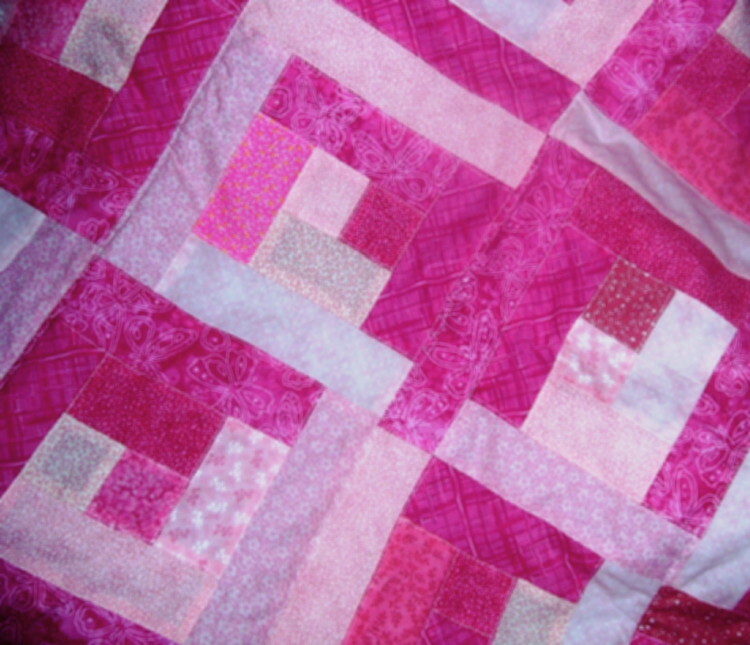 Quilt is backed with matching pink On The Mend Fabric; quilt can be used on either side. 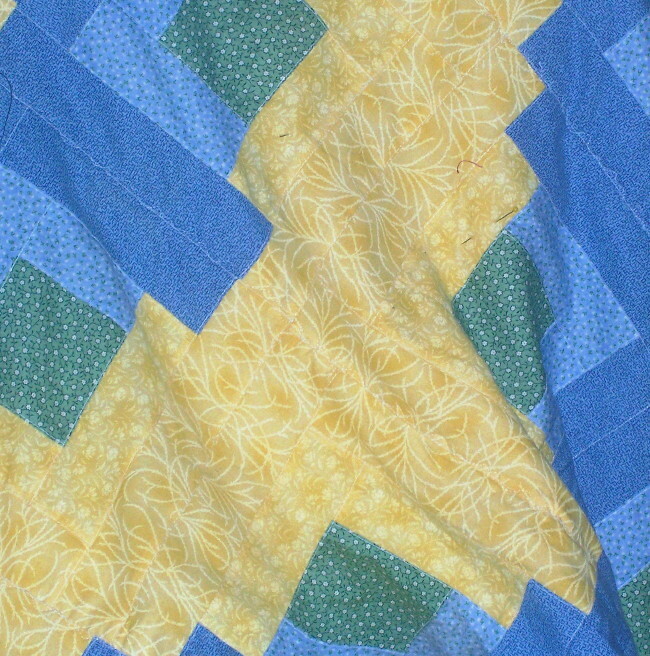 Channel machine quilted, Thermaloft filling - washable in cold water. 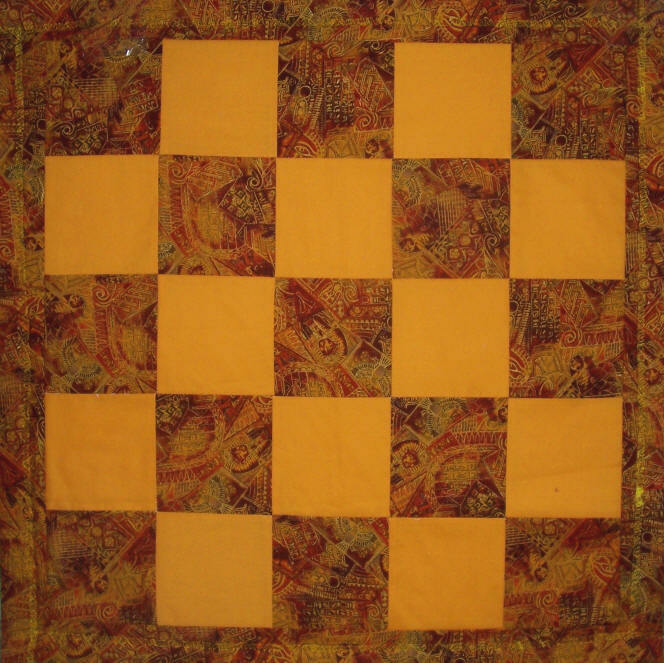 Quilt is (44" x 68") made from 100% premium cotton fabric. 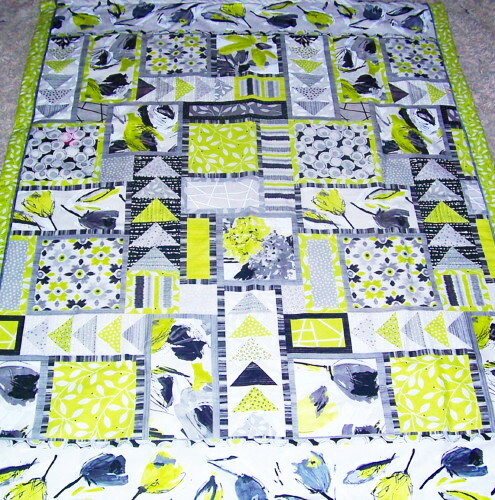 This is a strip pattern with each vertical strip measuring 6 " wide. 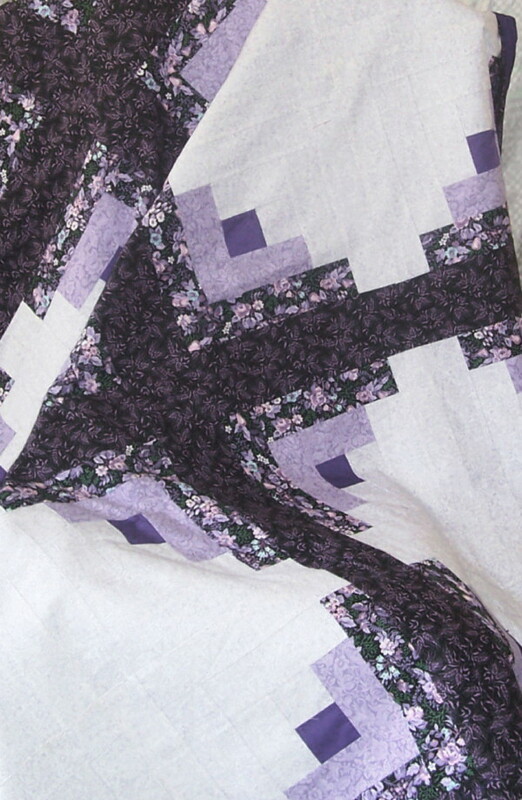 Within the accent strips are violet patterned blocks separating the print block. 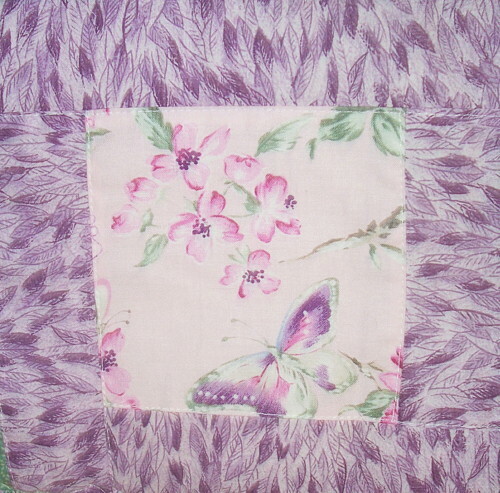 There are blocks of pink butterfly print in frames of violet with purple and green design print. 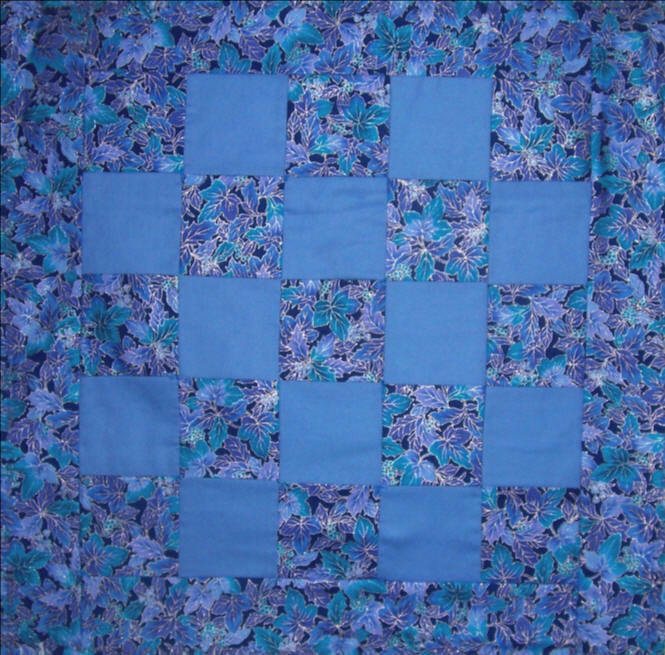 Egyptian themes - 29" x 29" Blue Foliage - 26" x 26"
Gingham Flowers - 30" x 30" Neon Feathers - 35" x 35"